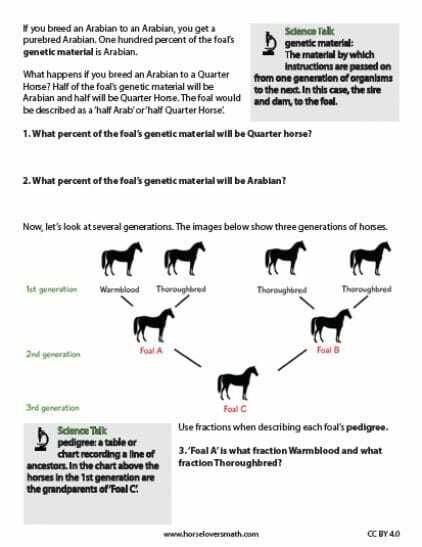 This math worksheet takes a look at basic horse breed genetics. 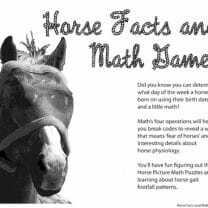 Fractions are used to describe a horse’s pedigree. Kids are introduced to the concepts of ‘half Arab’ and ‘half Thoroughbred’ and what this means. 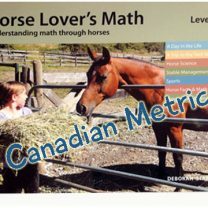 Real-world math for horse crazy kids! 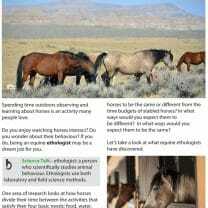 Many people prefer cross breeds, horses with parents from two different breeds. 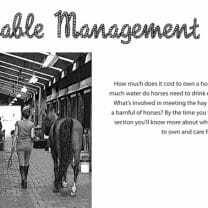 A top event trainer in Germany believes the best horse for eventing is ¾ Thoroughbred and ¼ Warmblood. What do they mean by this? 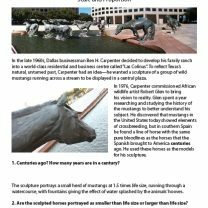 What happens if you breed an Arabian to a Quarter Horse? Half of the foal’s genetic material will be Arabian and half will be Quarter Horse. The foal would be described as a ‘half Arab’ or ‘half Quarter Horse’—and that’s just the beginning! 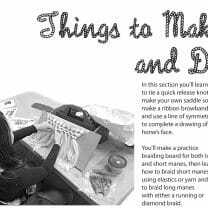 6.RP.A.3c – Find a percent of a quantity as a rate per 100.